Have you ever subscribed to a newsletter ? You know, the websites that offer something, like an ebook, music file, video file, or a series of video, in lieu of your email. Yes, that’s subscribing to its newsletter. Regardless of how much you try to resist, there are some websites that offer way too much lucrative gift when you subscribe. I have watched websites offering discount, bloggers offers guides to their readers for subscribers. There are two types of people, one, who subscribe to the blog and then get its updates. Second, who use fake email, to avoid getting future emails. Who just need the return gift for once. The above screenshot shows tempmail.org, the website I use quite frequently to run away from spam. As the name suggests, temp mail offers temporary email inboxes. It helps to bypass email lockers and “enter your email to download” stuff. If you’re blogger, this isn’t good for you though. On websites where lead magnets are being offered, people are using such services to get the reward with subscribing to the blog. Temp-mail is only one such service, there are tons of such services out there. With more and more of such emails on your newsletter list, these websites get a large number of failed email deliveries in their newsletter. Doesn’t sound good, does it? On one side, I can’t blame people for using temp-mail services. I use it as well. However, when you turn the coin, for websites, this whole fake email service isn’t good. To cope up with such things, you should use zerobounce – an Email Validation service. I could have introduced zerobounce on the very first line, but just needed to provide you some context and make sure you’re on the same page. As proposed by the website, Zeroboune offers data validation services to users who’re looking for a reliable tool which would have a vital impact on the performance of their email marketing campaigns (Newsletters). The “data” in the above paragraph refers to your email list. They validate the entries and scrape out the ones that could have a negative impact on your newsletter campaigns. The performance of your email campaign could hike if you remove the emails who don’t open your emails, mark them as spam, or worse, didn’t get the email because the email was fake ( temporary ). Zerobounce helps you do this scraping. Here are some features of zerobounce, to check out all their features and pricing details, head to their official website. Email validation: The website claims that they’re able to determine whether an email is good or bad. They didn’t explain as to what qualifies as a good or bad email. Catch smart domains: Some domains often mask their validity, which means that the real email will always be reported as good, regardless of their reputation. Zerobounce has a smart algorithm, which detects catched domains and identifies the email which aren’t able to validate themselves. Their accuracy is much more than similar service providers. Abuse accounts : You’re an email marketer, but not everyone is. You might be aware that if your emails get reported as spam way too often, they’ll land directly in spam folder instead of inbox. Zerobounce has a huge list of users who’ve been reported to marking messages spam. This could have a long lasting impact on reputation of your brand. Zerobounce helps you to deliver your emails to the right audience and scrape out the one’s who don’t want it, or the one’s who’ll hurt your reputation. Blacklisted : Based on their experience and research, they’ve compiled a list of emails that are in blacklists of several industry people. These are repeat offen dors that can cause huge inconvenience. Donotreply email accounts : Usually companies dedicate some accounts for only sending emails. These are do not reply emails. Delivery to such email fails. Zerobounce detects such emails and scraps them out of your campaign as well. 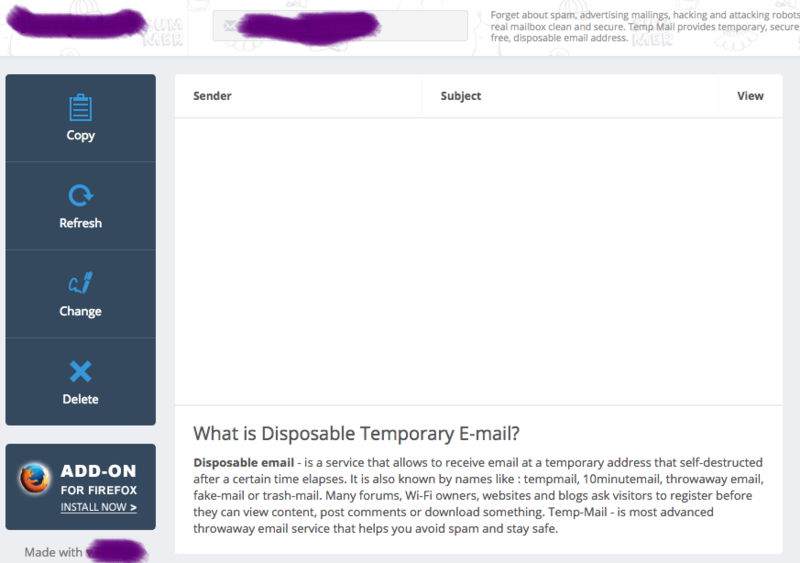 Disposable or temporary emails : The software also detects temporary email accounts ( as I mentioned above ). Temporary do a great damage to the overall CTR of your campaigns as emails aren’t delivered to such emails in first place. Not so sure emails : Some emails can’t be validated with a very accurate determination by the algorithm. 80% of such emails end up being bad emails. The software also gives a last chance for such clients to re-validate such emails without charging for unknown emails. To learn more about their features and pricing, check their official website.